California Wrongful Death: When Can a Landlord Be Held Liable for Negligent Security? According to the most recent data from the Bay Area Census, approximately half of the people in our region are renters. In San Francisco, nearly two-thirds of all housing units are listed as ‘renter occupied’. In other cities such as Oakland, Berkeley, and San Jose, the percentage of renters is almost as high. As a tenant in the Bay Area, your landlord owes certain basic duties to you. You deserve a habitable housing unit. Under the law, your landlord must always provide premises that are reasonably safe and well-maintained. This includes taking steps to ensure that you live in a unit with adequate security. Unfortunately, landlords do not always live up to their legal obligations. If your loved one was killed in an attack that occurred at their rental property, their landlord may be legally liable. At Bracamontes & Vlasak, our San Francisco wrongful death attorneys help family members of victims fight for justice. Negligent landlords must be held accountable. Failure to address obvious dangers. Under California state law, landlords have a special relationship with the tenants. While the law certainly does not require every landlord to provide a security guard on their premises, landlords have an affirmative duty to provide security that is adequate and appropriate based on the given circumstances. The failure to do so is negligence. When landlord negligence contributes to the death of a tenant or of an invited guest, the landlord can be held legally liable under the state’s wrongful death statute (California Code of Civil Procedure 377.60). In California, certain family members of the victim can bring legal action against negligent landlords. While no amount of money can ever make up for the loss of a loved one, justice is important. Both economic and noneconomic damages may be available to family members of the victim. At Bracamontes & Vlasak, our California wrongful death lawyers represent the family members of those who were killed by the reckless or careless actions of another party. 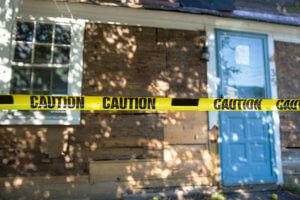 If your loved one was a victim of landlord negligence, we are here to help. For a free, fully private consultation, please call us today at 415-835-6777. With an office in San Francisco, we represent families throughout the Bay Area, including in Alameda County, San Mateo County, Santa Clara County, Marin County, and Contra Costa County.